Teaching is not merely a profession, but a way of life, passion, and enthusiasm. It is believed that the teacher’s impact on student academic achievements is 2 or 3 times greater than other school-related factors. If you think back to your school days, you’ll definitely remember that one teacher who went above and beyond to inspire and motivate you in your activities. The influence of a great educator can hardly be erased from one’s memory. 19. Oklahoma 2nd grade teacher let her students express their creativity by coloring her plain white dress. 18. A student’s babysitter didn’t show up and she had to bring her 4-month-old daughter to class. The baby started getting fussy and the professor decided to hold and soothe her during the whole lecture. 17. This teacher didn’t have a map, so he drew one by himself. 16. Kinsey French, a special education teacher from Kentucky, invited her entire class to her wedding. 15. This chemistry professor dressed up like Breaking Bad’smain character for this class. 14. “Today I look beautiful just like you!” A Brazilian teacher changed her hairstyle to support a student who was being bullied because of her hair. 12. A teacher found one of his students in the rubble caused by a tornado in Moore, Oklahoma. 11. A teacher started a “comfort closet” at her school for needy kids to get hygiene supplies and clothes. 10. Carl Schneider, an elementary school teacher, walks his little students home from school every day. 9. One of the female students of this teacher is smoking in the bathroom. She will be “pleasantly” surprised when she opens the door. 8. My history teacher is cooler than yours. 7. South Carolina teachers started ’The Gentleman’s Club’ for young boys who didn’t have a father in their life. They teach kids good manners and give them fatherly advice. 6. This biology teacher has her own way of teaching about the human body at school. 5. Florida special education teacher, Chris Ulmer, starts each class giving individual compliments to each of his students for 10 minutes. He said that this experience has helped to dramatically increase his students’ confidence and self-esteem. 4. 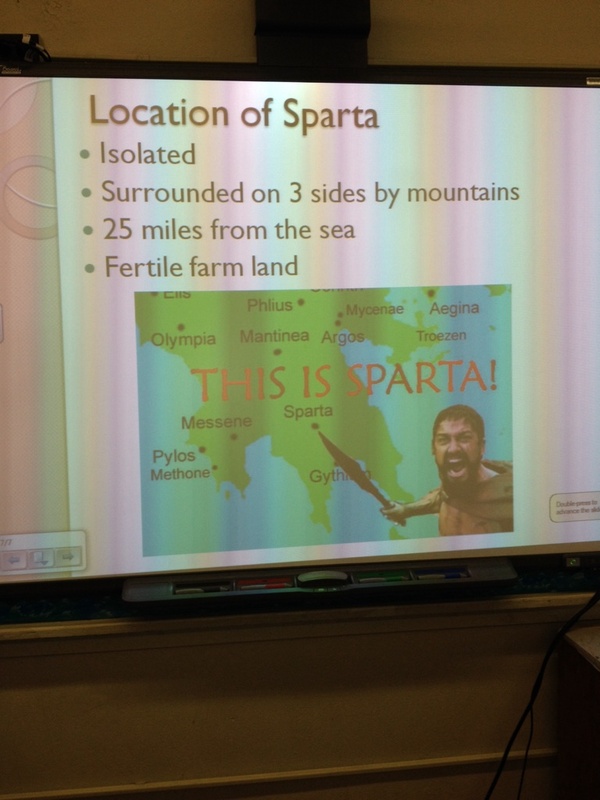 This World History teacher knows how to get kids interested in learning. 3. Teacher, Rajesh Kumar Sharma, opened a free school under a bridge to provide education to New Delhi’s poor children. 2. The Ghanaian teacher who taught his students Microsoft Word on a blackboard got computers donated to his school. 1. This Iranian boy has cancer, yet his teacher comes to visit him every day in the hospital to fill him in on what he has missed at school.